Shelf Wobblers are the perfect way to gain the attention of customers passing your displays. Printed at A5, A6 or 100mm x 100mm square on 350gsm silk and in full colour, our shelf wobblers have vibrant colours and your message can be read easily. Order your shelf wobblers with ease and take your in-store point of sale displays to the next level. Capitalise on the impulse buys and inform your customers of special offers with our shelf wobblers / shelf talkers. All our shelf wobblers are digitally printed on 350gsm silk, single sided and provided with a plastic “wobbler” arm and self adhesive strip which allows for instant and easy fitting in your store. For added Oomph we can die-cut your shelf wobbler to almost any shape imaginable. 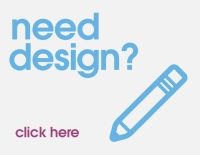 This will require a bespoke quotation, so please send an example of your artwork and a proposed quantity to us and we’ll get right back to you. As our wobblers are digitally printed in-house, the cost per unit is extremely cheap in comparison to those printing on semi rigid PVC. This makes them much quicker to print and while the durability is slightly less, it makes our wobblers perfect for short to medium term promotional campaigns. Our Shelf Wobblers are printed single sided on 350gsm silk and finished with a plastic wobbler "arm". Each arm has an adhesive padding for easy placement on your shelving.